This page is under construction- pardon my dust! 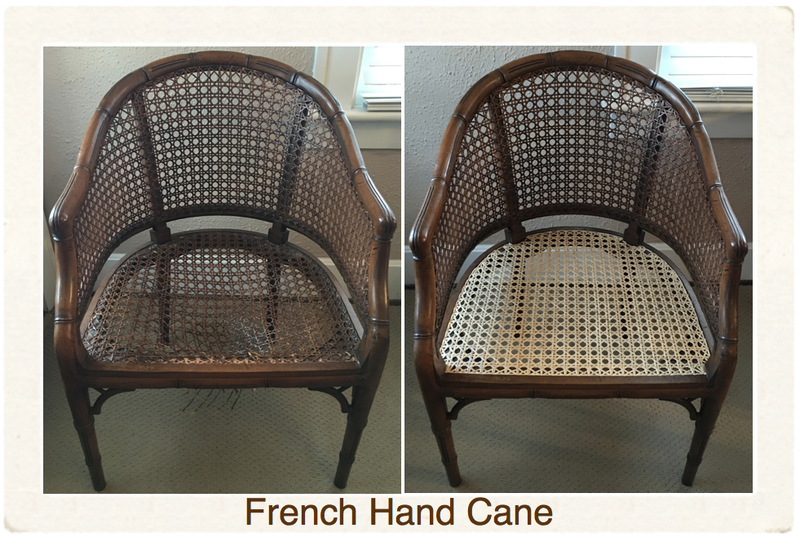 French Hand Caning (also called "Continental" or "Blind") is an advanced and time consuming technique typically seen on backs of chairs for the purpose of keeping the opposite or back side free of holes drilled through the wood and hiding the caning attachment. 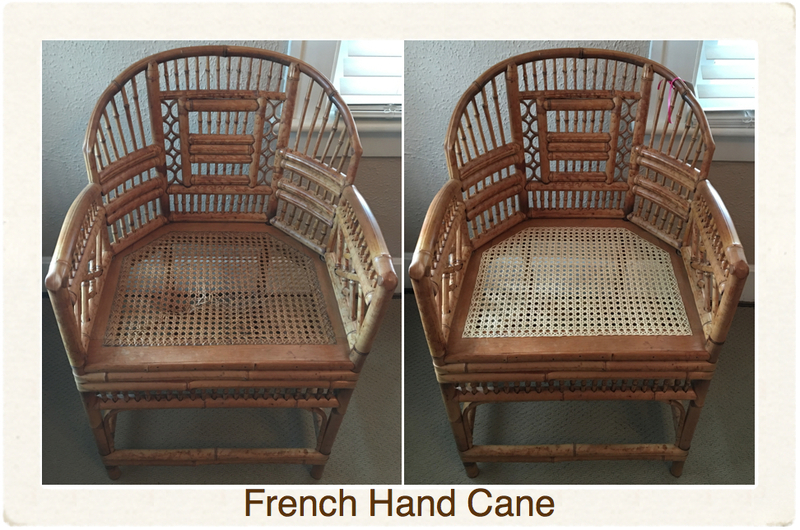 French Caning can also be found on seats, however it is not as common. It is typically seen on high quality antique European furniture, but is also used on modern made furniture. The holes are only drilled part of the way through the wood requiring the cane to be attached by glue and pegs. This is delicate, process laden, and advanced work- not for amateurs! From the front side you will see holes where the cane attaches to the wood- sometimes with a peg plugging the holes, sometimes with a strip of cane covering the holes. The reverse side you will notice that it is just solid wood- no holes with cane coming through. 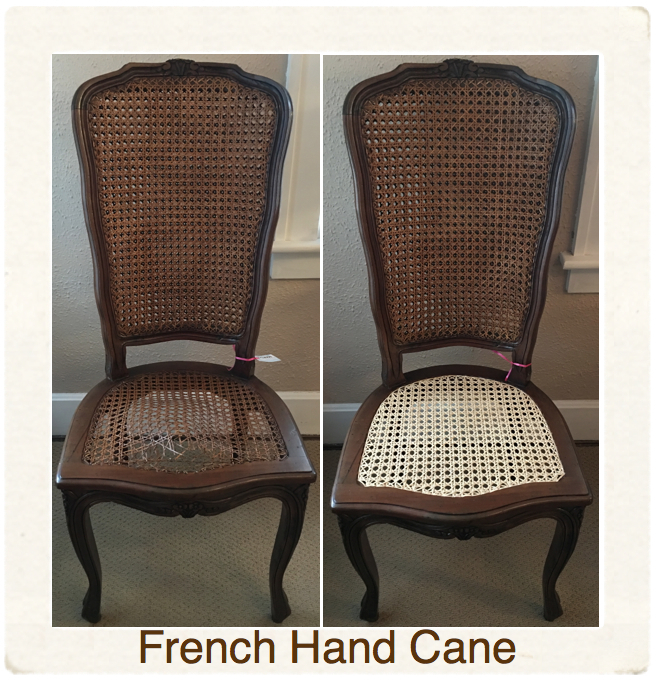 French Hand Caning is recommended on Bentwood backs (I generally see this on Hoffmann/Prague 811 chairs) which still have the hole covers still intact. The holes are drilled through the wood, but seamlessly covered by a strip of delicate wood, which will snap apart during removal because of age, making any re-caning French techniques a must. Double Caning refers to double paneled caning usually on arms or backs where the front side AND back side both have their own caning panels. Like a cane sandwich! This process is difficult in that all the weaving must be done with minimal access to the underside which greatly slows up the work. 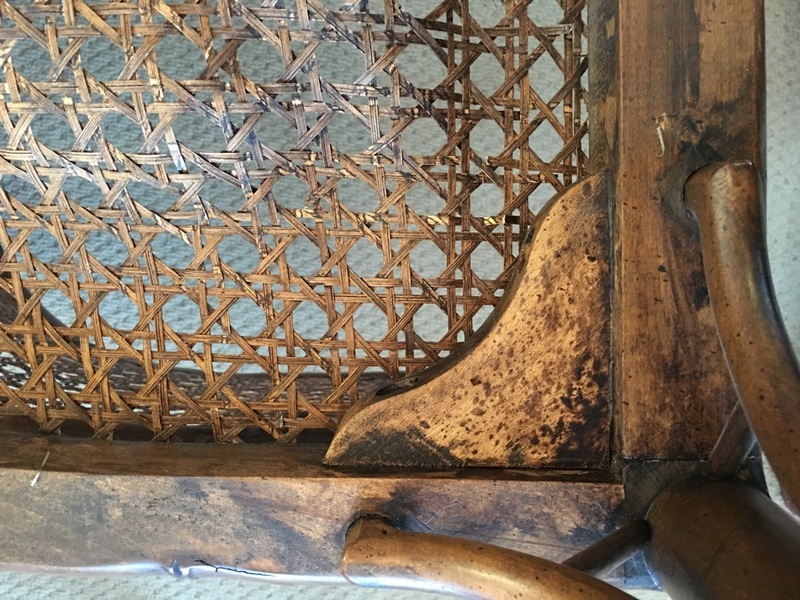 If there is damage on one side and not the other, replacement will depend on how the holes were drilled when the chair was made- whether just the affected panel can be replaced or both. 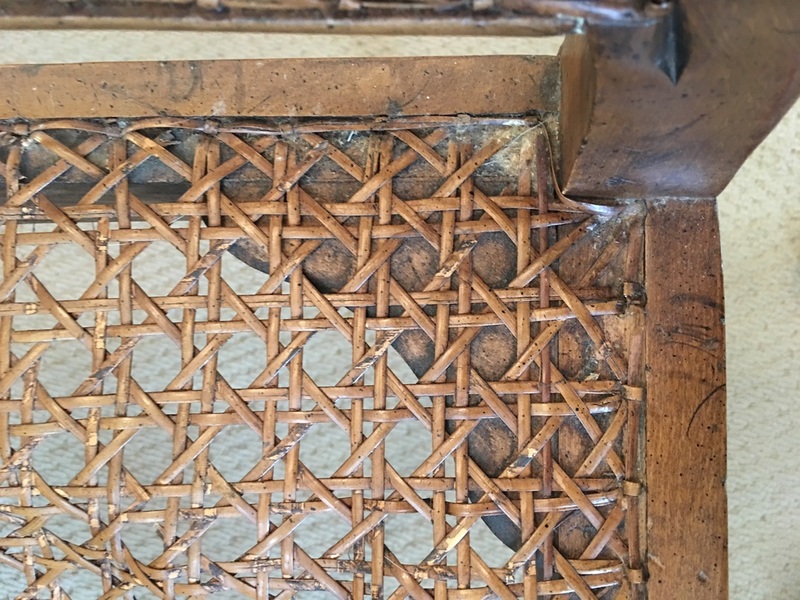 Holes drilled independently- Ideally, each panel would have holes drilled partially into the wood (like French Hand Caning), but not clear through to the other side, allowing one panel to be removed and replaced without detaching the opposite side. Symbiotic Holes- In this case both the front and back panels are sharing the same holes that are drilled clear through the wood. The weaving goes continuously from front to back and back again. It is not possible to only weave one side- both will need to be replaced at the same time. The only way to tell is by removing the material from a hole.